This is a strange album. As the title suggests, it is film music. It is unmistakable film music. My wife heard the album and asked what film soundtrack I’m listening to. It is cliché film music. I remember seeing a book called “How to score film music.” I guess this is the album that should accompany that book. Clever quips aside – there are a few problems with this disk. The main is that the songs are quite indistinguishable in their blasé pastiche. It is schmaltz thinly spread on white bread (not toasted). The only song that stands out is Raindrops Keep Fallin’ On My Head and I can’t get it out of my head now. 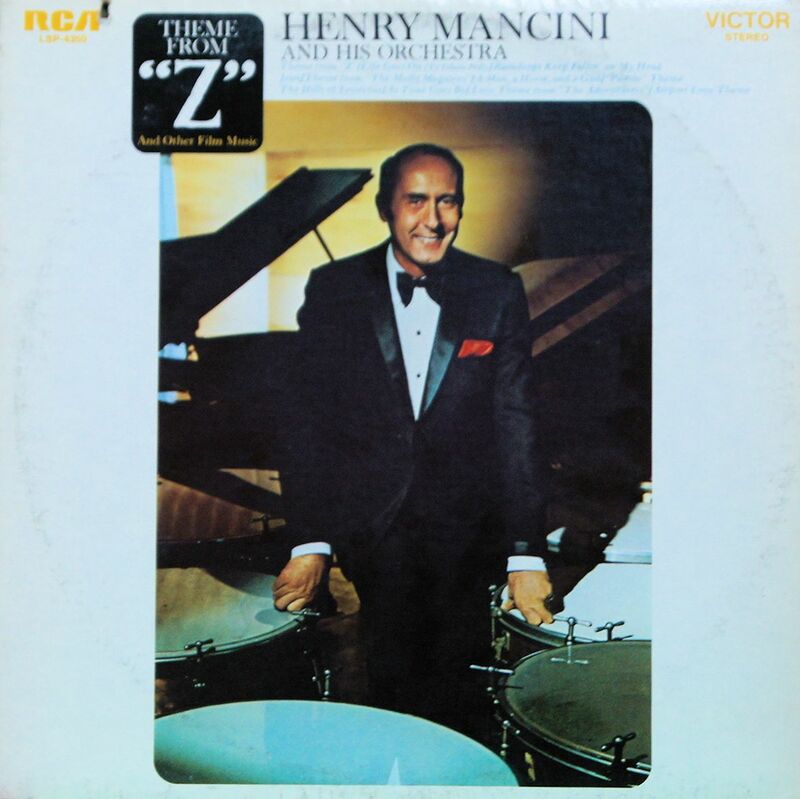 The other main problem is that the music is not credited – did Henry Mancini compose all this? Did someone else? It does say that he arranged all the music – so who is the original composer? It is a well-produced recording that could be used effectively to stop teenagers congregating in certain places. Put this on a loop and you’ll have everybody fleeing the area.